A handy guide to the differences between 2/1 and standard! Do you know whether a 2/1 response is always game-forcing? Are you sure that a reverse by opener promises extra value after a 2/1 response? Can you always remember the right rebids over a Forcing 1NT? If you answered 'No' to any of these questions, this is the book you need! 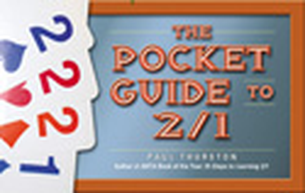 Whether you are just starting out to play 2/1, or simply want to remind yourself of the fine points, you will find the answers to your questions here, carefully explained and illustrated. 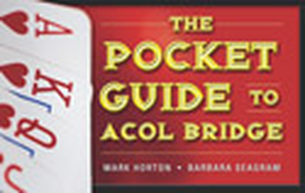 This book is a concise but complete description of 2/1, today's most popular 5-card major natural bidding system. A handy guide with the answers to your chess questions! Do you know how to checkmate with a bishop and a knight? Do you know the difference between a pin and a fork? Do you remember the best defense against the Queen's Gambit? If you answered 'No' to any of these questions, this is the book you need! 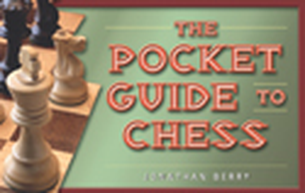 Whether you are just starting out as a chess player, or simply want to brush up on a few fine points of the game, you will find the answers to your questions here, carefully explained and illustrated. This book is a concise but complete survey of every aspect of the game of chess: a great first book for the beginner, and a useful reference for the intermediate player. 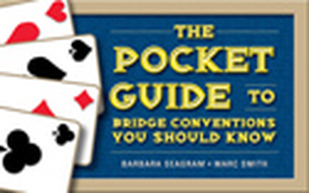 Using the same format as The Pocket Guide to Bridge, this book will provide a handy pocket summary of the popular SAYC bidding system. 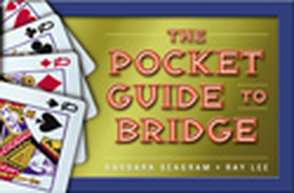 In a concise but readable manner, it goes over the basic ideas of SAYC, which is the most popular natural system for online bridge players around the world. 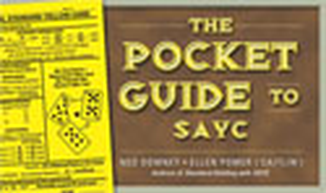 The contents are based on Standard Bidding with SAYC, by the same authors.